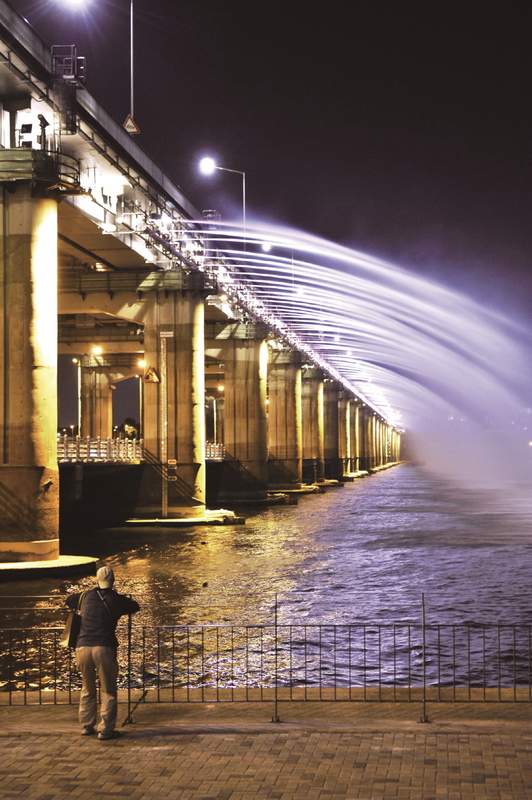 After spending its youth trickling and splashing through the mountains of Gangwon-do, the Hangang River enters Seoul as a fat, sedate, and middle-aged waterway, its lack of pace furthered by a variety of man-made interventions. 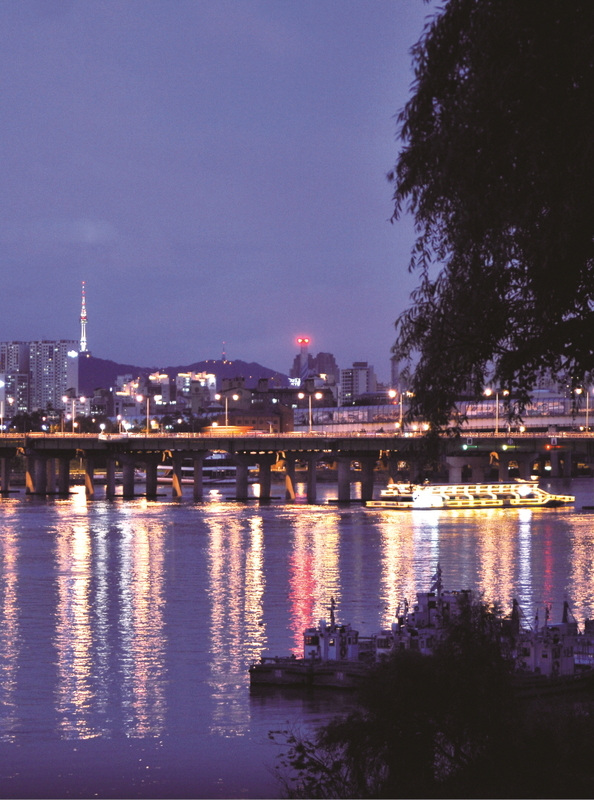 Series of parks on each bank guide the Hangang through the city, punctuated by bridges, resorts, and marinas and linked by a network of walking and bicycle paths. When the warm spring weather sets in, Seoulites hit the riverbanks with characteristic vigor, charging along the bike paths (you’ll even see the occasional chalk outline), power-walking off calories, skating, walking dogs, flying kites, eating, drinking and sleeping. Spending a day following the Hangang as it flows from east to west is a great way to discover Seoul from another angle while getting some hard-earned fresh air and exercise. Located on the north bank of the river, this spot is easily reached from Exits 2 and 3 of Ttukseom Resort Station 뚝섬유원지역 (Line 7), making it a good place to start a day’s journey. There’s plenty to do here, including hiring “duck boats” for a 40-minute jaunt on the river (KRW 15,000/23,000 for pedal-powered/automatic), waterskiing and windsurfing (call T. 02-1330 for information), or relaxing on the embankments with snacks from one of the nearby convenience stores. 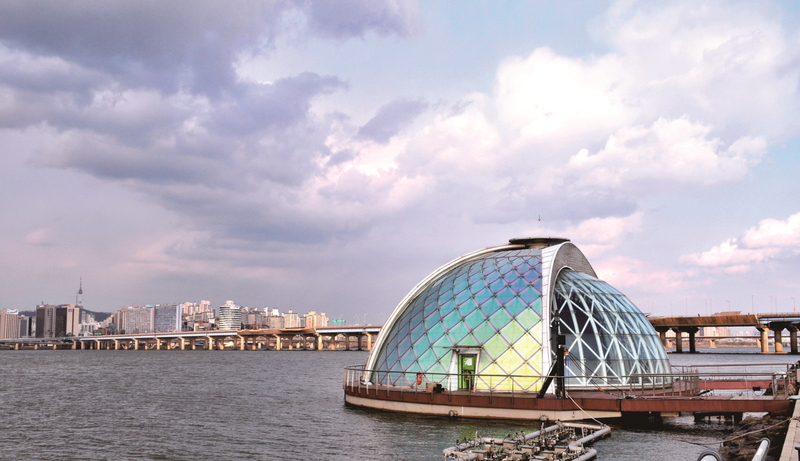 Also worth a look is the Jabeolle (J-Bug) cultural complex, a raised, tubular structure whose innards are comprised of a gallery, cafés, a restaurant, and a gift shop; it offers a great view across the river. A couple of kilometers west along the riverbank lies Seoul Forest, one of the capital’s major green areas. Designed with the aim of creating a local equivalent of New York’s Central Park, Seoul Forest is a combination of trees, lawns, gardens, greenhouses, a butterfly house, lakes, and more. It even has a deer garden, with deer feeding opportunities on Tuesday, Thursday, Saturday, and Sunday afternoons at 2pm and 3:30pm (reserve by calling T. 02-460-2987; Korean). There are cafés and convenience stores in the forest itself and a collection of restaurants and cafés on the lower floors of the two giant green apartment blocks nearby. Another five kilometers west stands Seoul’s only “double deck” bridge: while Banpo Bridge carries most traffic above the river, like the Hangang’s other bridges, the Jamsu Bridge—directly beneath it—lies barely a few meters above the water level, making it an ideal point to cross the river from north to south along dedicated bicycle lanes (though crossing the river at other bridges is possible, too, thanks to various staircases, ramps, and elevators). On the way here, shortly after Seoul Forest and the mouth of Jungnangcheon Stream, is Mt. Eungbongsan, a favorite spot for photographers in search of the perfect shot of the cityscape. 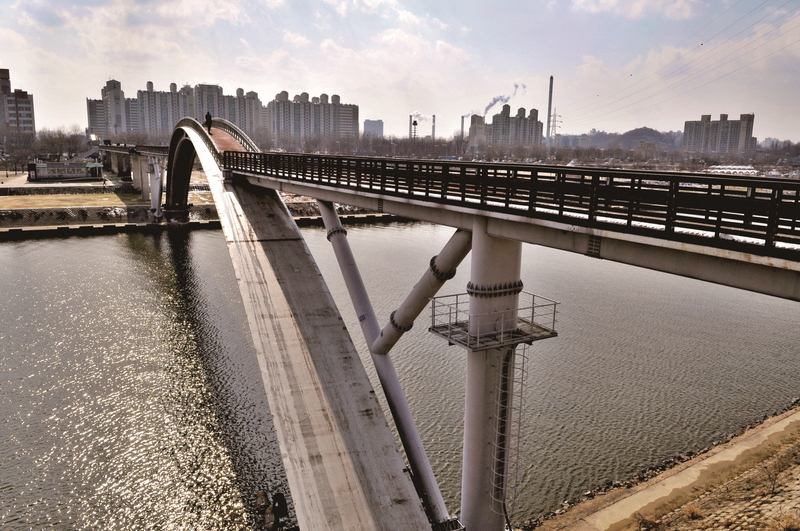 From the southern terminus of Jamsu Bridge, it’s a 6.5-kilometer journey west to the island of Yeouido. The journey takes in Banpo Hangang Park, as well as a possible short diversion to Seoul National Cemetery, a large complex containing the resting places of some of the country’s greatest heroes and most controversial figures. Yeouido itself is full of things to see. Surrounded by bike trails, it is lined by Yeouido Hangang Park on the northern bank and Yeouido Saetgang Ecological Park to the southeast, a lush complex of wetlands, trees, and undergrowth crisscrossed with walking and bicycle paths as well as raised walkways and a very distinctive pedestrian bridge. 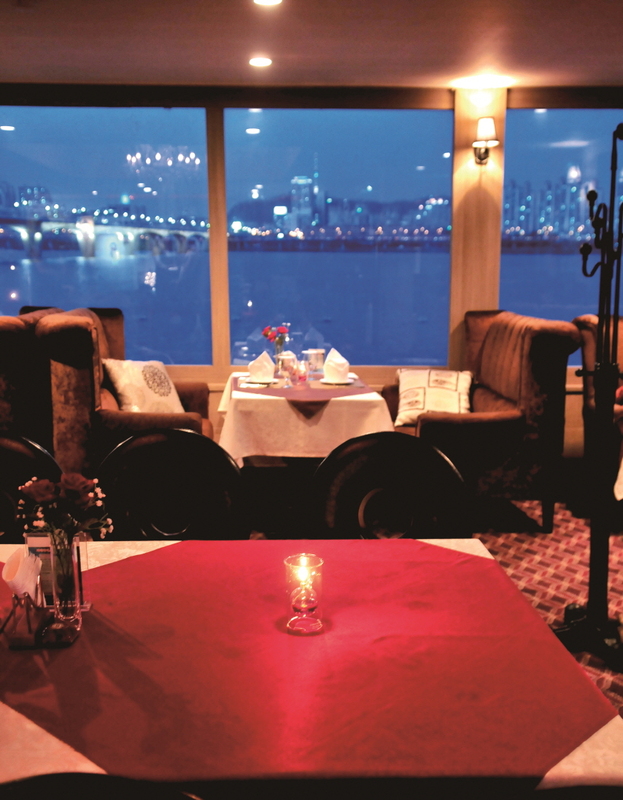 Beyond Wonhyo Bridge are a couple of floating cruise terminals with a buffet restaurant, café, and fast food joint. 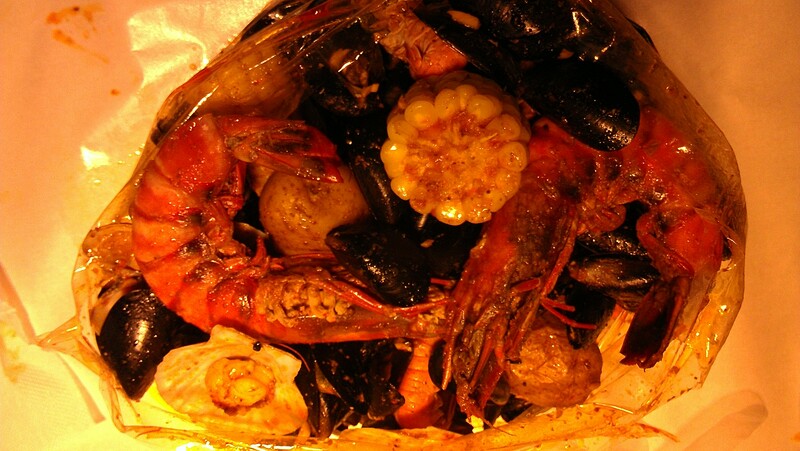 By the northeastern bank floats Paradise, a restaurant serving fairly pricey Western-style dishes, alcoholic beverages, tea, and coffee. Paradise also has a collection of duck-shaped paddle boats, rowing boats, and motorboats for messing about on the water. 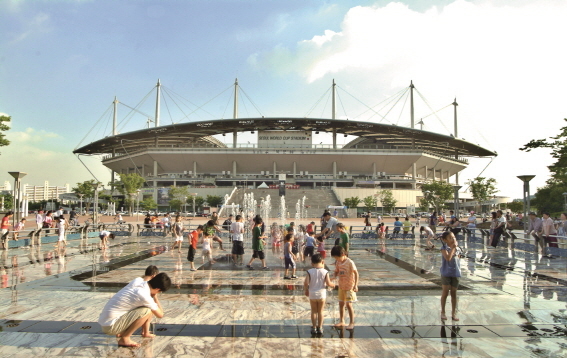 A short distance west of Yeouido is Seonyudo Park, an attractive complex set on the island of the same name. 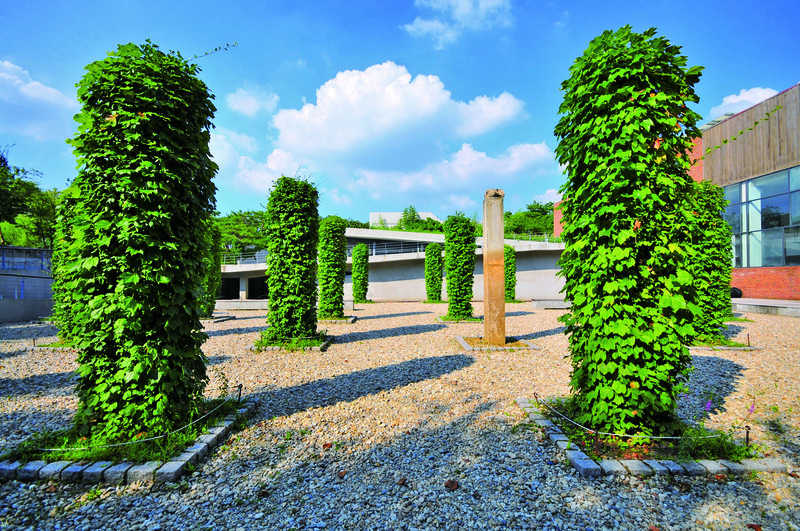 Seonyudo Park is famous for its innovative design, which makes extensive use of the giant concrete tanks, walkways, baths, and other structures remaining from the water treatment facility previously located there. The park comes to life from late spring onward and makes an impression on most visitors. Yanghwa Bridge offers a good way to cross the river again, back to its northern bank. From here, the journey continues west to the enormous World Cup Park complex. 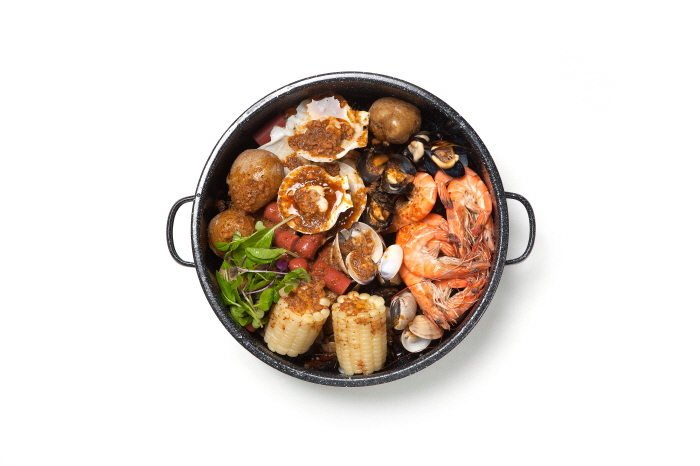 If you’re hungry again, the World Cup stadium itself is home to several eateries. If not, make your way around the network of walking and cycling trails around the complex. 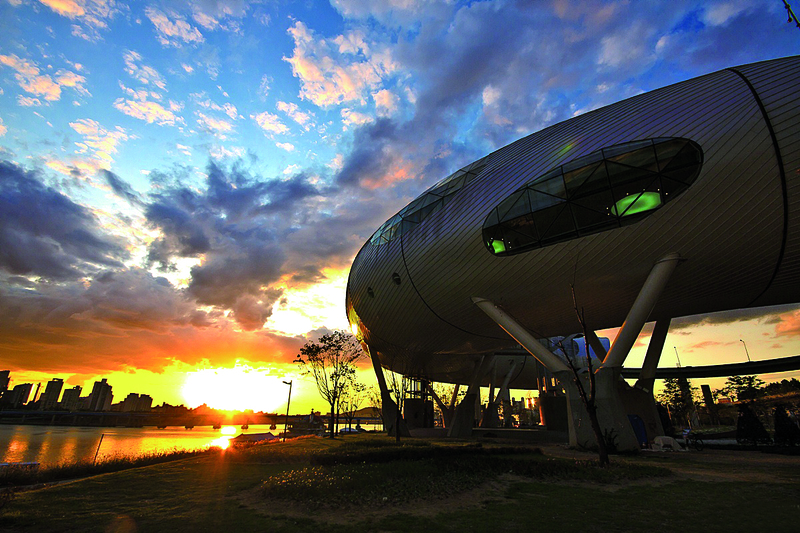 Haneul Park is a high hill that offers great views across the western part of the capital and of the setting sun. Crowned with fields of reeds dotted with sculpture-like structures, it makes for an atmospheric end to the day. Nanji Hangang Park contains a variety of sports fields and a camping ground, which can be used for daytime picnics and barbecues (KRW 3,750) or camping at night in a variety of tents (reservation needed; call T. 02-304-0061; Korean). 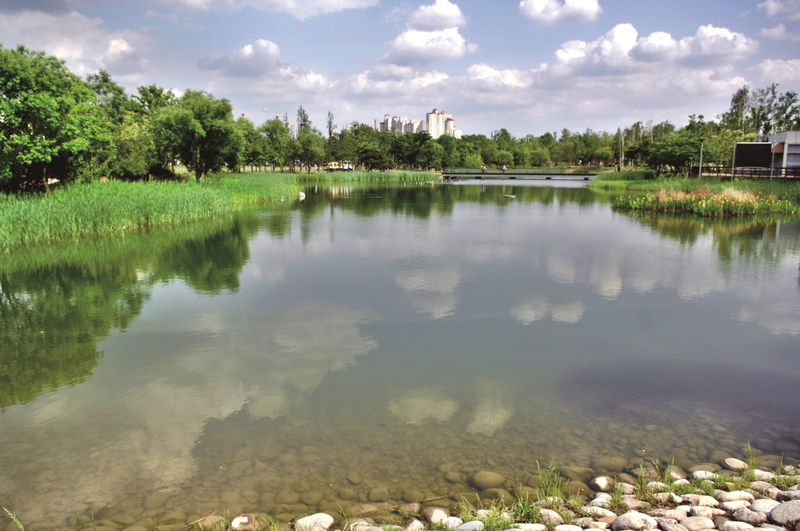 Noeul Park is a wide, grassy area that also boasts a golf course, while Nanjicheon Park features as its centerpiece a successfully restored stream, once heavily polluted but now a haven for local wildlife. The route above, from Ttukseom Resort to Nanji Hangang Park, is around 25 km long. If you’ve blasted your way through it in a couple of hours and are not even ready for lunch, there are various other options available. Heading back along the southern bank and continuing from Yeouido all the way to Amsa-dong, near the 1988 Olympics complex, is one 25-kilometer possibility; others include following bike paths up the various streams that flow into the Hangang: Jungnangcheon (near Seoul Forest) and Hongjecheon (just east of Nanji Hangang Park) Streams on the northern bank and Anyangcheon (3 km west of the southern terminus of Yanghwa Bridge) and Tancheon/Yangjaecheon (slightly east of Ttukseom Resort; cross the river via Yeongdong Bridge) Streams on the southern bank. Seoul Metropolitan Government’s cycling page (http://bike.seoul.go.kr) is in Korean, but has a useful map: click on 자전거지도 on the red navigation menu and you’ll be shown the cycle trails around the city (red lines are dedicated cycle routes, green are shared with pedestrians). The route described above covers a fair distance in central Seoul, but for more information on any of the places it passes through, see the Korea Tourism Organization website (http://english.visitkorea.or.kr) or call the Korea Travel Hotline at T. 02-1330. Bicycles can be hired from 12 locations along the northern and southern banks of the Hangang, including Ttukseom Resort, the southern terminus of Banpo/Jamsu Bridge, two locations on Yeouido, and Nanji Hangang Riverside Park. Recent reports indicate that managers are reluctant to let bikes rented at one location be dropped off at another on weekends: this may change if Seoul authorities decide to intervene. Rentals cost KRW 3,000 per hour. Check the brakes, chain, and other basic parts of the bike before you set off! The banks of the Hangang are highly exposed to the sun: protection is recommended. * This article is from Seoulmagazine. Located in the trendy Gangnam district in southern Seoul, 10 Corso Como is the brainchild of Italian gallerist and publisher Carla Sozzani. Part art and design gallery, part bookshop, part fashion store, and part something else, the shop was conceived by Sozzani—a former fashion editor—as a virtual narrative of a magazine layout. Think of it as walking through a copy of Vogue. 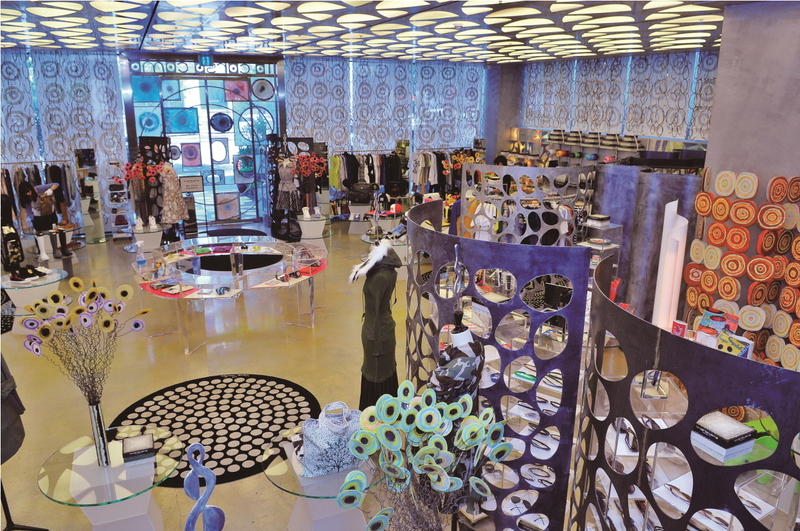 As with Milan’s and Tokyo’s 10 Corso Como locations, much of the interior was designed by American graphic artist Kris Ruhs, a long-time associate of Sozzani. 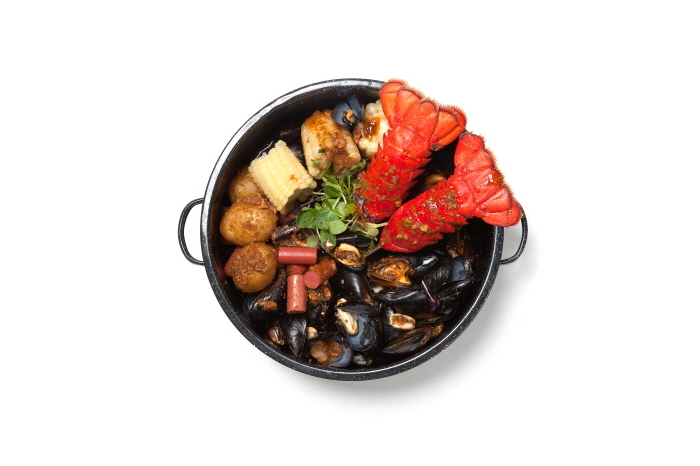 10 Corso Como’s café offers a variety of sumptuous Italian eats, with wonderful desserts, too. In addition to men’s and women’ fashions and accessories, 10 Corso Como also has a bookshop selling mostly art and photography books. Well worth checking out. The logo. The simple, black-and-white logo is designed by Kris Ruhs. There’s nothing like getting your nails done for changing your mood. 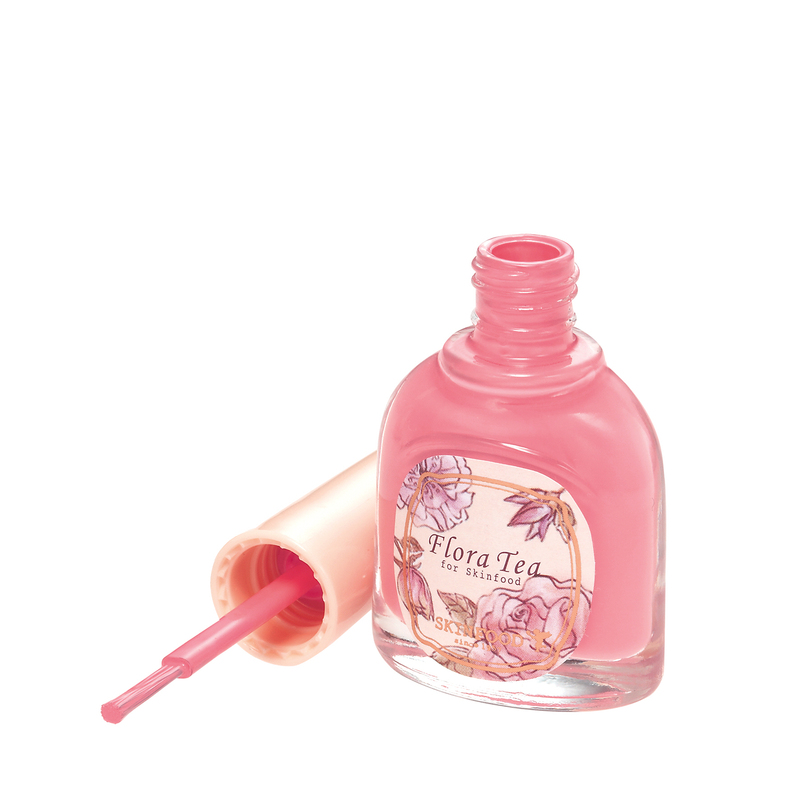 Available in five shades of pink hues and orange tones, Flora Tea Nail Vita Alpha is perhaps one of a handful of cheap nail polishes that can be applied evenly without emphasizing ridges. Don’t waste your money and time going to nail shops; Flora Tea will rescue you from your dirty-looking nails. Be pretty in pink for spring. Banila Co’s The Secret Marbling Blusher pairs perfectly with the natural makeup trend. This swirl of different colors gives a natural look instead of a made-up one. You can use it either as blush or as a shimmery highlighter. Gel-type creams are perfect for all skin types but especially for extremely oily skin or combination skin. Nature Republic’s moisturizing cream glides on smoothly and leaves no film on your skin, giving you a refreshing feeling. If you’re looking for something lightweight to use under makeup, without a doubt, this is going to be your daily item. TONYMOLY’s gel eyeliner is creamier in texture than other eyeliners and glides on your eyes well because it has no shimmer. Of course, it will smudge if you rub it ferociously with your hands, but the colored gel will last and stay opaque until you remove it with cleansing oil. This is especially recommended for people whose eye makeup gets smudged as the night wears on. It takes a while to find a foundation that suits your skin perfectly, but Hera’s UV Mist Cushion will definitely shorten that time for you. The mist cushion is a liquid foundation with sunscreen, moisturizer, and whitening functions. 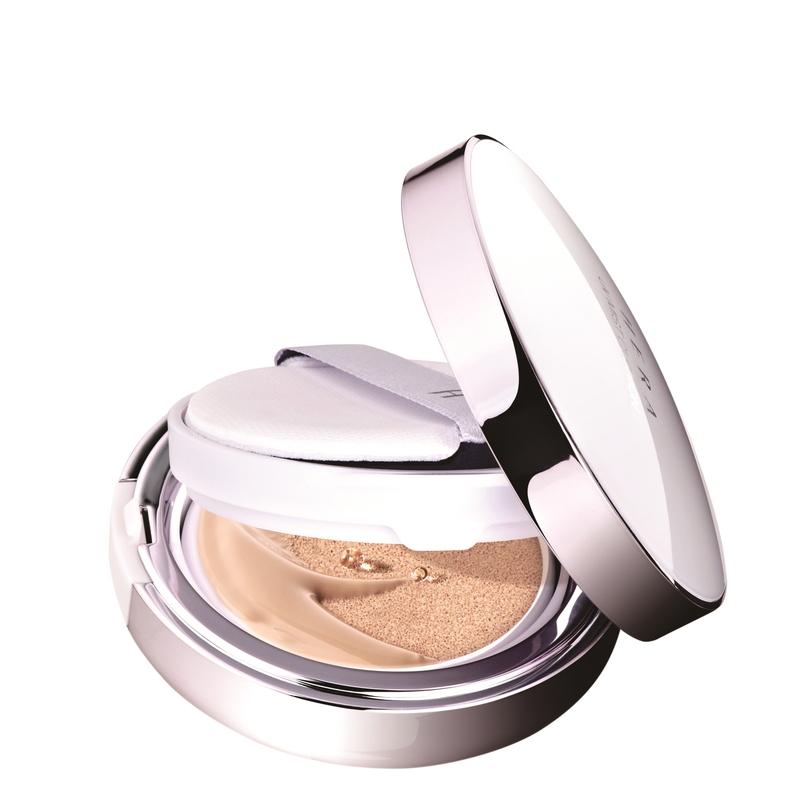 This amazing all-in-one product is SPF 50, good to use in both spring and summer. CC creams are receiving the baton from BB creams to lead the spring 2013 beauty trends. This multitasker is typically useful for people who don’t have enough time to do makeup in the morning. The new 8 in 1 formula primes, conceals, hydrates, and protects skin. You’ll soon realize that doing your makeup can’t get any easier than this. 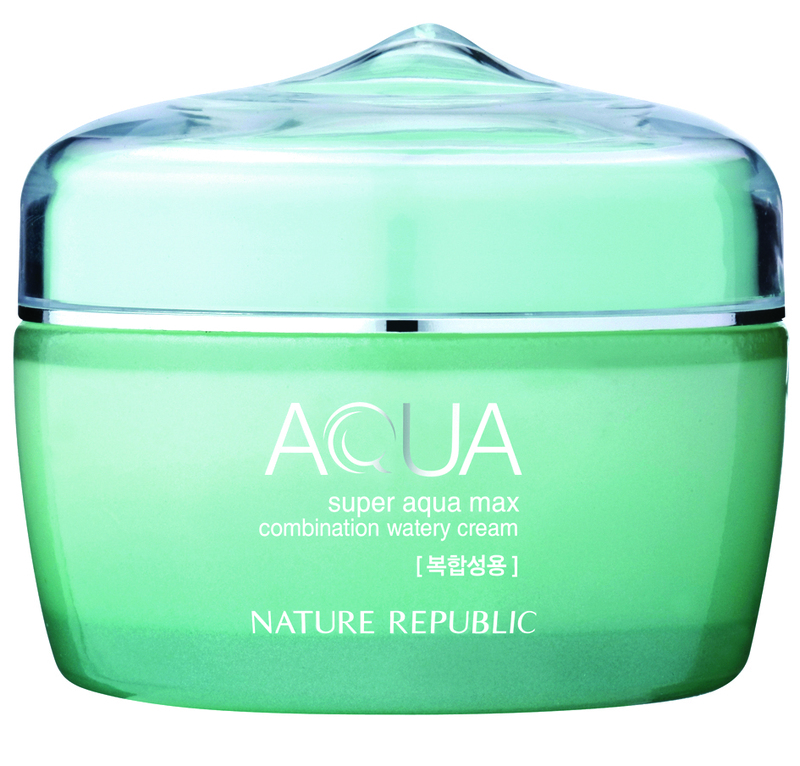 Innisfree is known for selling highly effective skin care products at reasonable prices. Innisfree Soybean Energy Essence is the latest product to firm up this reputation. The main ingredient, fermented soybeans from Jejudo’s mountain area, soothes dry skin and prevents wrinkles. I shuffled through toward the dimly lit door, hood up and head down, body bent against the wet springtime wind. I slopped up the stairs, opened the door, and stepped over the threshold – to a lodge on a lonely moor in Yorkshire. Or maybe I was somewhere in Vermont. In 1921. Wherever I was, I certainly wasn’t in Korea anymore. And how can you blame me for being turned about? The place is crammed with dark polished wood, brick, and burnished metal. Everyone wears leather and tweed and plaid. Ski caps abound. The low lights glint off a hundred half-full pint glasses held by smiling, cheerful people, and I am abashed. The snappy wind is blowing wetly, the windows are rattling, and here we are, partying like chums at Reilly’s Taphouse, the happiest place on Earth. This is where you bring your rice-ravaged mind to flop down, sink into the dark leather, and stay awhile. Things are lookin’ fine tonight. Reilly’s is an Itaewon newcomer, tucked up on the third floor of an unassuming building you’ve probably walked by 500 times. The beer menu is a showstopper with enough ales, lagers, stouts, porters and pilsners to make your head go fuzzy. Trying more than one is an absolute must, and trying a few is more than likely for any beer lover (no one around here will judge if you pour yourself into a cab 3 hours later). The Magpie Porter is a customer favorite, along with the sweet Schloss Dunkel and the blacker-than-black Seorak Oatmeal Stout, but I was enraptured by the Scottish Wee Heavy. Served in a dazzlingly large glass and topped with a creamy head, my heart was on wings. So when Troy Zitzelsberger, the self-named Beer Guy of this cozy establishment, appeared at my elbow and asked if I’d like another round, I said, “Well sure!” His status as a certified cicerone makes him more like a beer doctor, considering how many months of study he devoted to acquiring the coveted status. He treated me to a bottle of Tripel Karmeliet, a smooth honey-colored Belgian that sings with vanilla and packs a solid 8.4% alcohol by volume. Zitzelsberger called this little gem (his current favorite) a “creeper.” Beware those words from a beer doctor. Good thing Reilly’s burgeoning menu of comfort food is there to take the edge off your warming belly. 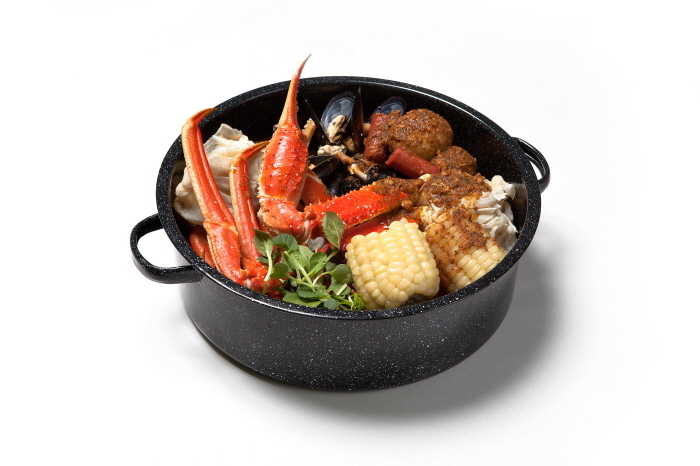 Chef Chris DeBord has put together a promising selection of southern pub favorites spiked with fanciness – Grandmother meets Oscar Wilde on a plate. Chris has your old faves like fried sweet potatoes, onion rings, fish and chips, and fries covered (and covered well), but he’s also rollin’ out big, beautiful bowls of mussels and hunks of meatloaf smothered in brown gravy. He really shines at sauces, something he’s fully utilized while putting together this menu. “It’s a work in progress,” he says. And good progress it’s making. DeBord came over and explained his hope for the future menu at Reilly’s, a prototype he was trying out when I was there that weekend: lamb shank, two hearty soups, a sandwich or two, and bread pudding or chocolate mousse for dessert. His southern USA foundation begins to show as he talks, and it becomes clear how personally invested he is in the success of his food. That’s how it is at Reilly’s. Personal. This place has “personal” written all over it. The people behind the bar are the ones who own it, carefully pouring from one of their taps (there are 20), making sure the proper glass has been chosen before handing it off to you. Everyone is so jovial and enthusiastic, you’ll wish they’d pull up a chair and take a few sips with you. You’ll be right over there, tucked into your third glass under the watchful eyes of Winston Churchill, mopping up the last of your red pepper aioli with another perfect onion ring, having way too much fun. Go with friends. Go alone and make some new ones. Just go. Reilly’s will be your new fave. Walk straight out of Itaewon Station, line 6, exit 2. Reilly’s is close by, on the left side, just beyond Smoothie King, on the third floor. * This article is from groovekorea. One-hour guided tours of permanent collection are available. 10: 30 – 11 : 30 am / 2:30 – 3: 30 pm (English) French/Spanish/Italian. Wheelcharis and strollers are available free of charge. Strollers are reserved for infants and children under 30 months old. Sungnyemun, a 600-year-old landmark in Seoul, was officially opened to the public on May 4, five years after it was severely damaged by an arson attack. Sungnyemun served as the official main entrance to Seoul during the Joseon Dynasty (1392 – 1910). The walls on both sides of the gate have been rebuilt. In order to make the structure more faithful to its original design, the width of the stairway on its east side has been broadened. The ground level has also been lowered by 30 to 50 centimeters. Where to eat around namdaemun. Nearby namdaemun market is the land of opportunity for culinary adventurers looking for Korea’s authentic street-cart snacks. If you cannot find a good buy at Namdaemun Market, head to Seoul Station’s Lotte Mart outlet. It is worth checking out the number of physical improvements cited above. Jin’s Paradise (hostel in itaewon, guesthouse in itaewon ) from namdaemun is only 10min by bus. The war memorial of korea exhibits various weapons and equipment from Korea’s prehistoric times to the modern period as well as paintings of battlefields and sculptures of notable warriors. An open-air exhibition displays war tanks, planes, and guns. On June 25, the date when the Korean War broke out in 1950, the museum will offer visitors military rations. Admission is free. You can walk from Jin’s Paradise, Guesthouse in Seoul. It will take about 20min by foot. There is a simplicity to Magpie that can’t be found except on rare occasions. For a beer purist, visiting Magpie is not unlike having an epiphany — a stroke of clarity. It’s similar to the feeling you get when you find something treasured that you had given up for lost. In addition to whatever seasonal concoction has been conjured up by its crew, Magpie maintains two flagship brews. The porter is correctly described as warm and dark. Easy drinking for such a dark beer, it is gentle and not at all bitter, but still maintains a sufficient complexity to keep your interest past the first pint. It’s really enjoyable. The pale ale is a hoppy, citrusy American adaptation of an India Pale Ale (IPA), adjusted ever so slightly for Korea. What that boils down to is a dark, golden-amber color (a not-so-pale ale) with that cloudy hint that unfiltered craft beers should have. Nicely sweet, but not overly so, it is a dream come true for folks like me who enjoy the style. Both beers come in nice full pints. My only reservation is thus. Having grown too big for its britches, most of the brewing is now done off-site at KaBrew, where other local notables do their craft work as well. While this does detract slightly from the overall authenticity of the ultra-micro-craft brewer, it is also a necessary step required to simply provide enough beer to meet demand (or most of the demand anyway). The beer is still great; the attention to quality and to preserving what was created in the original kitchen is still present. Also, because of the outsourcing, the owners need not spend 28 hours a day brewing beer. They can serve customers, teach brewing classes (contact info@MagpieBrewing.com for details) and have lives outside brewing. The growth in Magpie’s popularity has led to other changes as well, such as a need to expand physical space, not just brewing volume. Magpie’s new basement brewpub has just opened right next to the current location. This new location offers Magpie beers and homemade pizza, plus it’s open a little later. The old location is transitioning into a growler/bottle shop where you can get a pint while picking up a two-liter bottle (glass of course) for home. Magpie isn’t a place for a quick bite to eat or a romantic dinner (unless you brought your own food). Nor is it a cocktail bar to hang out in and look chic. It also isn’t a mega-bar with dozens of beers and scores of tables. While none of these other types of places are bad (in fact, some are now greatly improved as they carry Magpie on tap — be sure to ask at Reilly’s Taphouse, Maloney’s, Phillies, and Vatos to name a few), they aren’t simply about the beer. At Magpie Brewing Co. it is simply about the beer. Simply good beer. Magpie Brewing Company is located in Gyeongnidan/Itaewon, just behind the Baker’s Table.